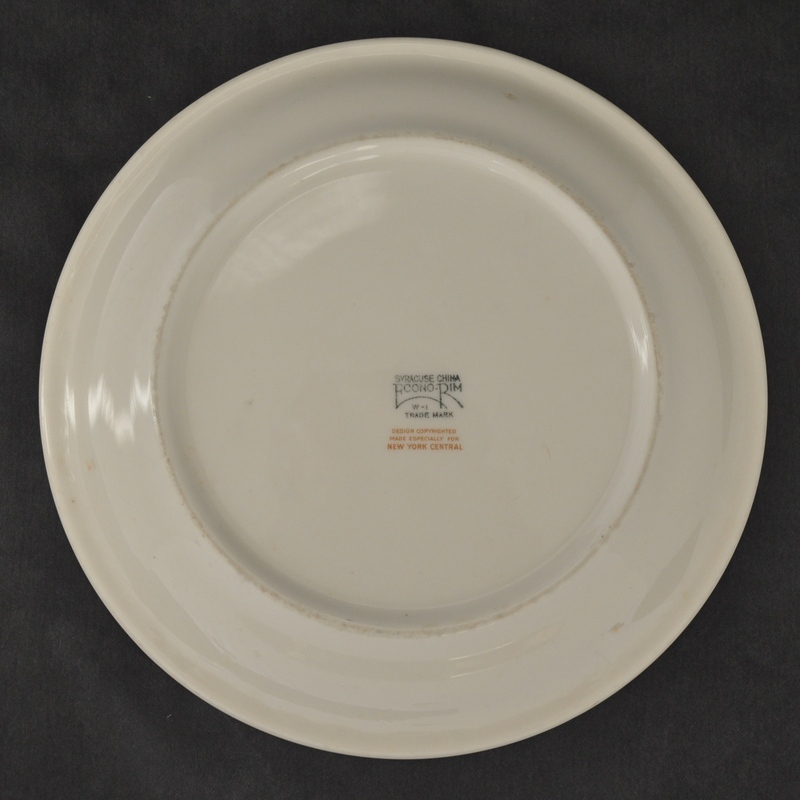 Description New York Central (NYC) Railroad Mercury Syracuse China Large Breakfast (or Dinner) Plate, 9 inches in the Morwel body shape, size "I" from January of 1942. 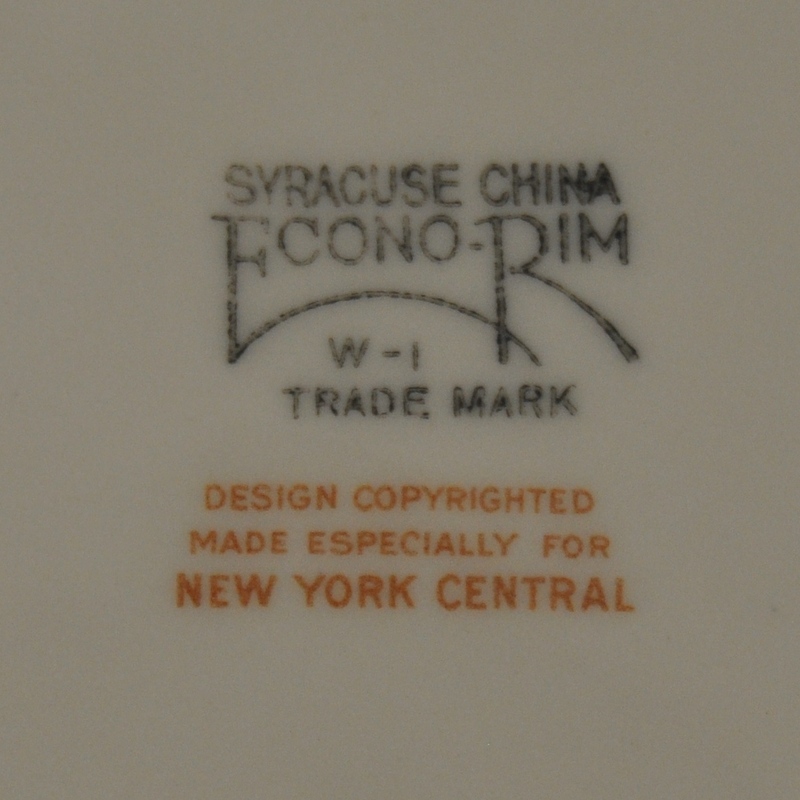 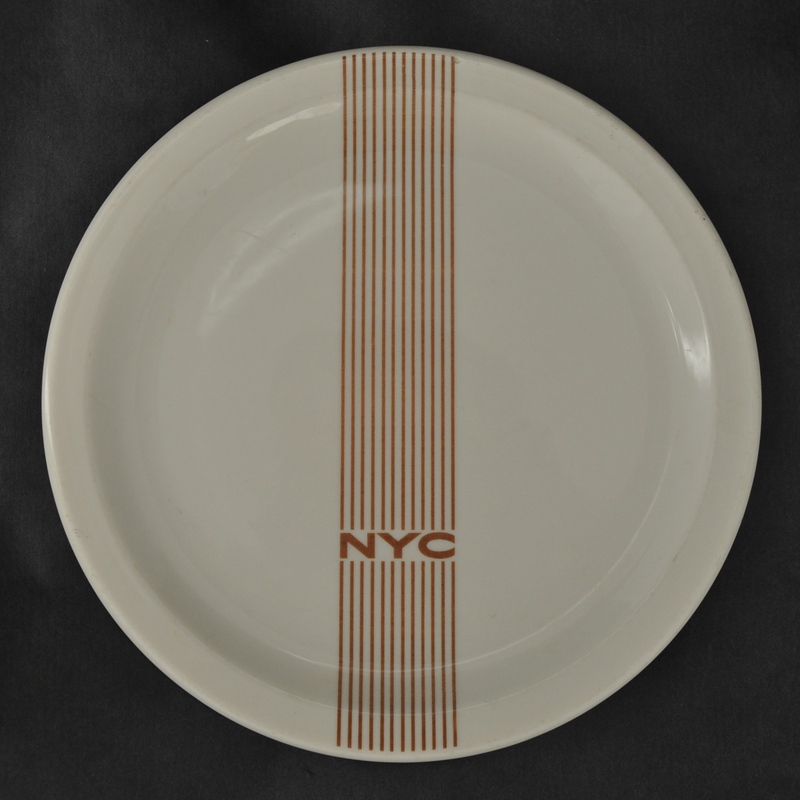 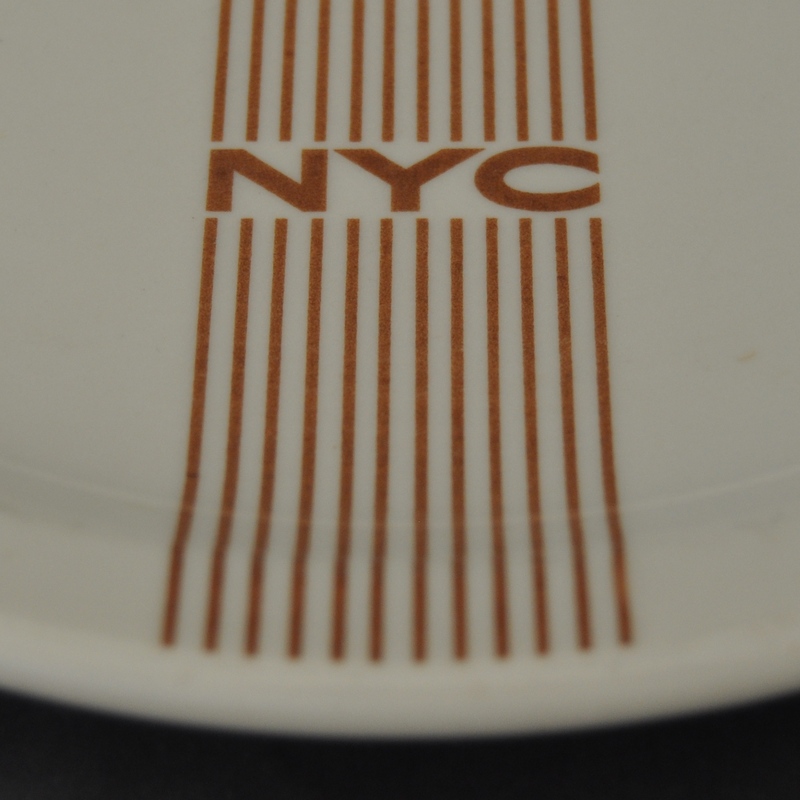 Has the full "Design Copyrighted, Made Especially for New York Central Railroad" backstamp. 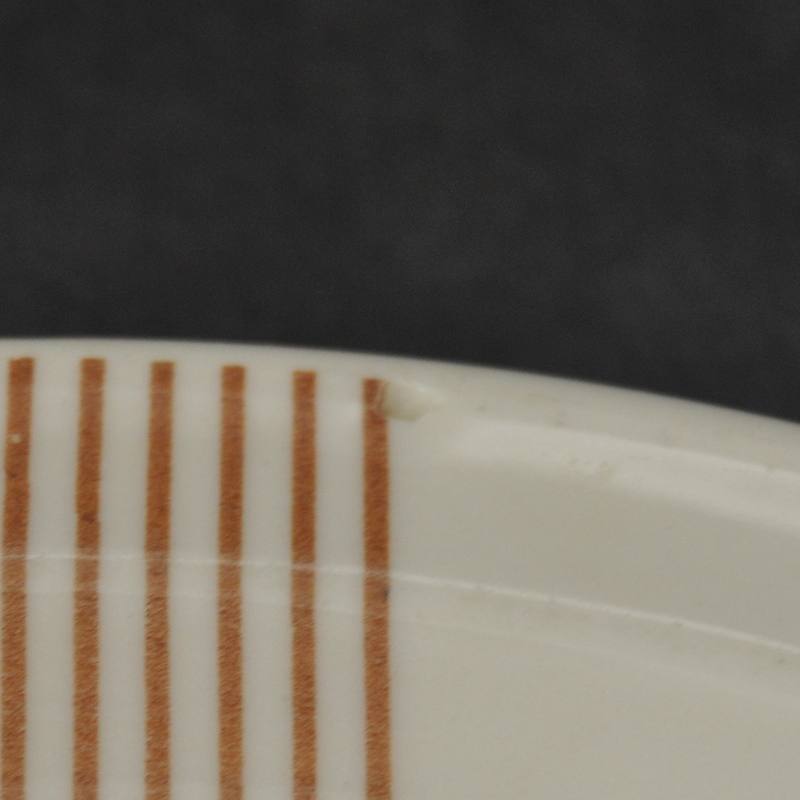 Small underglaze chip in rim.